Its been a multi-year effort, but my fiancee has finally agreed to cancel her CPI security system service in her townhome. I think she held on to it an extra couple months just to iritate the heck out me ;-). This is one of several cost-cutting efforts to reduce some of her expenses. My fiancee spends less than she earns (the most important trait to me), but since she doesn't have a large salary (she is a school teacher), she hasn't been able to comfortably save with her current spending habits. It was a tough nut to crack, the security system made her feel very safe and it was hard to convince her that secure feeling wasn't worth the $34.95 per month she was paying for the service. Actually I never found a convincing statement (to her) to use in our discussion that the benefit was not worth the cost - how can you put a price tag on security? However, we made some headway after several different ideas on both our parts. A big breakthrough happened when she got out of the habit of activating/deactivating the security system everytime she left or entered her house. Over time she got used to not using the security system. Later I made her an offer that if she canceled the system now that we could both contribute to a fund that could be spent on a security system service later in our lifes when we would more value the same service (ie after we started a family). Finally she came around to my side and agreed to cancel the service. Whether or not we get a security system later in life is a different discussion in the distant future. She called to cancel one evening and was told to call back during business hours. When she called during business hours, she was told she needs to submit a cancellation request in writing and it could take 60 days to process. I drafted up a cancellation letter this weekend. I would like to cancel my CPI Security Account. The security system is installed at [address]. Please close the account immediately. Thank you in advance for your assistance. Canceling this service should save my fiancee $34.95/mo or $419.40/year; a significant amount for her if she is able to apply the difference to her savings. $34.95 is a lot, but you're right that it's hard to put a price tag on security. Is her townhouse in a safe neighborhood? Have there been any incidents in any other homes in the area? You might want to try out NextAlarm , they use an IP Based system that cost around 11.95 a month. It has web monitoring so you can see whats going on in your house if you have access to the internet. My DIY security system has a one-time cost of $200. With a fake monitoring sign at the front yard, it's just as effective. After my divorce, I awoke one night to find a man in my room over top of me. He was a neighbor, who "thought I was cute" and since I was divorced "figured I was lonely". It was terrifying and I don't think he peed normally for a long time after that. My point is - I was lucky. This guy was a nut. To top it off, he was married. I called his wife, suggesting she keep him off my property. Thankfully, they moved not long after that. If I had to live and sleep alone again and didn't have a dog, I would pay what ever price not to have to go through that again. **hint to men, that think a girl is cute - 1st do nothing if you are married. 2nd divorcee does not mean easy. 3rd break into the house and you are a criminal, not an admirer. I have to disagree with you asking your loved one to cancel their security contract. I am all about budgeting and planning for the future. But, there are some things worth more than money...and, that is safety and piece of mind. Besides, if you are not here to enjoy the money...does not matter how much is in the banks?! it's all about what makes you feel comfortable. the insurance premium savings varies and doesn't cover the cost of the system and monitoring; moreover, that is what insurance is for if your house burns or is burglarized. your premium will still go up regardless of having a system. it's an added expense that isn't worth it if you have insurance. the only reason to have it is if it makes you feel more comfortable and you can sleep better having it; however, most people who have security systems do not use it properly negating them anyways. Sorry, but if the man I was going to marry insisted I cancel my security system to save some cash, I'd think long and hard about marrying him. I so disagree with your position and your logic, but more than that, I question your priorities. Wo wo wo. Hang on -- you make it sound like I am misguided in this endeveur, but I don't think you have enough info to make this assessment. I don't think this is the case. 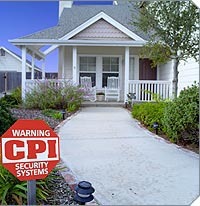 A home security service provides a person with a "secure feeling" for a monthly fee. Does that service actually provide you with any additional level of security? I would say no, other would argue yes, but the true is probably any benefit is not statistically significant. These home alarms systems make people feel safe - they do little more. In fact I think the security sign is the biggest benefit/deterent. If my fiancee truely wanted a security system to feel safe I would support it. However spending money on things is a series of tradeoffs. Since she is not saving enough for her future plans, she needs to prioritize her expenses and cut those this that are not as important to her than others (such a new car, wedding, etc). In the end she got rid of the security service because the value it provided her was not enough compared to the value of saving that money for future expenses. However, your right I wanted her to get rid of the system, I personally don't think it was worth the price she was paying for it. Hey 2 million dollar man! You sound like a real smart guy. To save a measly buck a day, you are jeopardizing the life of your girlfriend. You call that love? You are the kind of guy who would step over a dollar to pick up a penny. Your girlfriend should run for the hills. NYC is a safer city to live in than Charlotte North Carolina. And you bothered her for half a year? How many hours of your time did you waste to save $35. You're an idiot and you never, never, ever will make a net worth of two bucks let alone 2 million. A life is priceless. Insurance and security should NEVER be jeopardized. Since you screen your comments, I dare you to post this! Ah - read closer oh quick-to-judge one -- I live in Raleigh, NC. Perfect! here are the stats on Raleigh, N.C. They are WORSE than Charlotte. I wound not touch that security dial! working in the security industry, these alarm systems are worthless. Unless you live in a gated community with a dedicated monitoring service that rushes a week-long trained security guard to your door (still not guaranteed), these systems are a waste of money. You may think you feel safe, but it is a false sense of security. instead, do the smart things on securing your home that will be more effective like solid doors with dead bolts, bars on windows on accessible floor levels, remember to lock doors, get light timers, don't tell people except trusted person that you are leaving, have mail held while you are away, don't hide the key under the mat, use your shades (you don't want people to see that you have a 50" plasma) while they are walking by, etc, etc. have a fire plan and a burglary plan. Have your fire alarms and fire extinguishers and test them. create a safe room and stock it. don't forget to get insurance. save your money and move to a safer neighborhood. They're not worthless. Mine has saved my house from burning down and I know of people that have had break-ins and home invations that a 2-way system has detured. I'm not so convinced a 1-way that "calls your phone" would do the same thing. I agree with Tim that those things are important to do AS WELL as having a system, but they can be just as worthless against someone that really wants in your house. If you have a system, don't put your sign in the yard or stickers on your windows though, I think that attracks people because they think you have something to protect. You seem like a very controlling guy. A huge red flag. There is no way that I would marry you. Ha -- I wish I had some control. My fiancee is having her way when it comes to the important stuff like our wedding! Pinching pennies here, but spending major dollars elsewhere -- its all about priorities. 2M - you are a crazy nutball. What if someone breaks into your house and steals all your piles of cash? Then where will you be? The robber will reap the benefits of the $35/month himself and do so in a quiet, serene, alarm-free environment. Did you get the service cancelled. I tried to cancel and they wanted a 2 year buy out fee. I agree with your priorities. Cancel the service. Keep the sign.